Really Good Reads: Where Is God When It Hurts? Starting with the big haunting question of the title, Philip Yancey's (updated) book takes us into the lives of a married couple, the Claxtons, coping with the wife's sudden onset of cancer, and reveals the conflicting and often useless (or downright painful) responses of many Christians. The question has many answers that demonstrates that God is there when it hurts, but not necessarily in the ways that we expect. One answer is that pain itself is a gift of God, a sensory system that helps keep us safe. Its absence is the reason that, for instance, leprosy is so devastatingly damaging. Those who suffer from leprosy in the daily round of life do not properly protect themselves from greater and greater injury and tissue breakdown until eventually they lose fingers, toes, hands, feet, facial features.... The hurt of pain saves us from the harm of serious and untreated injury. Pain is also part of the general nervous system. Yancey notes that certain features of our lives involve a type of mild pain that is enjoyable by contrast with the rest of our situation at the time - spicy foods, that extremely hot water in the spa.... His speculation that perhaps that kind of pain will even persist in eternity is just that - speculation - but it is an idea that deserves meditation (even if maybe only to reject it). One of the features of the book that makes such thoughts a little easier to live with is the study guide at the end that invites members of book study groups to bring their reading into discussion. 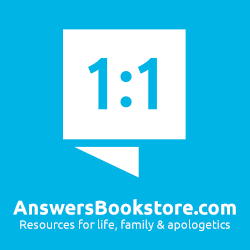 The next major section of the book - "Is Pain a Message from God?" - invites us to consider the pain of our planet (think of the groaning of creation in Romans 8:18-23); the connection between pain and our own actions; the need to look forward rather than backward rather when we are in pain; and God's refusal to justify the existence of pain in our lives (using the example of both Job and Mary Verghese, a doctor whose own injury makes her more able to help others). "How People Respond to Pain," the next section, deals with two contrasting ways that fellow Christians have dealt with a devastating fall; the ways that suffering have made various people stronger; and the responses of different people to not just pain, but the deliberate evil of the Holocaust - a chapter that every Christian should read in a society that uses 9/11 as the latest reason to reject God. All these ways of understanding pain may give us ways to understand and move forward with our own pain, but Yancey goes further in discussing how dealing with the "frontiers of recovery" - pain, helplessness, meaning, and hope - in both our own and others' pain. The final section of the book is both the most compelling and perhaps the 'iffiest,' with some ideas that challenge Christians in important ways, but may also provoke some strong disagreement. 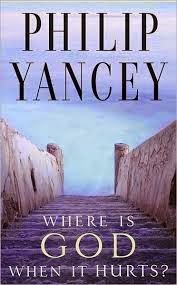 First, Yancey reminds us that God, as Chesterton put it, "played by His own rules." In Christ, He suffered the pains that we suffer and was forsaken as many feel now forsaken by God. This insight has a double edge, however, if the stress on Christ's suffering with us leads us to forget that He suffered for us. This stress on God's suffering with us, incidentally, fits with Yancey's links to Open Theism, a current doctrinal error involving God not knowing any better what's coming up in our lives (as He supposedly allows us the freedom to determine the course of human events) than we do. 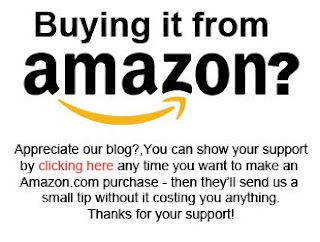 This is why I would not recommend Yancey's other books. Another misstep on Yancey's part involves his ideas inspired by the book of Hebrews that Jesus can sympathize with our weaknesses (He too had and has a nervous system that can feel the pain of life) and learned about our suffering by sharing it. This last thought is a little problematic, since Hebrews does not tell us Jesus learned about pain, but "learned obedience" - a difficult enough verse to interpret without dragging the nervous system into the question. Finally, Yancey's final quotation from Paul Brand - the doctor who spent years treating lepers - assumes that the body of Christ needs to "move on to a higher level of evolution" by becoming more sensitive to the pain of the members of the body. The exhortation is a good one, a necessary one, and one that is backed up by the rest of the book - but not by the theory of evolution - particularly in a book that ends with a glimpse at the decisive difference that eternity makes in confronting pain. Besides these stumbles, the book deals compassionately with a difficult subject and invites us - and others studying the book with us - to pay it forward, showing that compassion to others suffering pain, in the name of Christ. If you want to buy this book, here's the link you need.